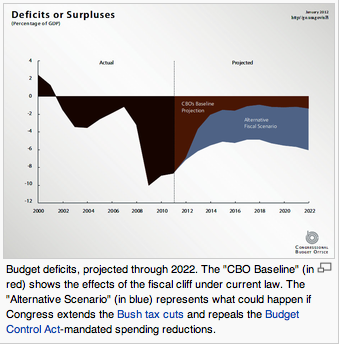 What Do You Know About The Fiscal Cliff? This one I had to share! You know how everyone is throwing around the word “Fiscal Cliff”, almost like saying the world is coming to an end? Raise the ceilings, or remove the s**t? Don’t make a general scenario personal. Use the knowledge to examine your own financial practices and see what you can do to improve things. Look around you – there are many people who are flourishing in this “not-so-great” economy. Why not you? Make up your mind to be one of the flourishing people – DO WHATEVER IT TAKES! I’m not sure of the author of this explanation – it was forwarded to me in an email. I’ll be happy to ascribe it to the original author if anyone knows who it is. It’s simply brilliant!